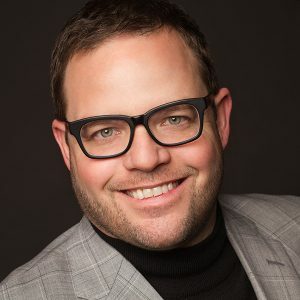 Jay Baer, CSP (certified speaking professional) is the world’s most retweeted person among digital marketers. He is a renowned business strategist, keynote speaker and the New York Times best-selling author of five books including Hug Your Haters. Jay has advised more than 700 companies since 1994, including Caterpillar, Nike, Allstate, The United Nations and 32 of the FORTUNE 500. He is the founder of Convince & Convert, a strategy consulting firm that helps prominent companies gain and keep more customers through the smart intersection of technology, social media, and customer service. His Convince & Convert Media division owns the world’s #1 content marketing blog, the world’s top marketing podcast, and many other education resources for business owners and executives. 04:54 – Have you faced any hurdles on your road to success? 08:37 – Where does the fitness industry fit in the Convince and Convert world? 09:44 – Do you have a favorite book you have written? 14:31 – Where did you come up with the name – Hug your haters? 18:38 – What are the two types of ‘haters’? If you SELL something you can create a customer today, but if you HELP someone, you can create a customer for life. When you answer someones complaint, it takes a bad situation and makes it better – but if you don’t answer someones complaint it takes a bad situation and makes it worse. Jay’s advice is you must answer everybody! No response is a response – that says ‘we don’t care’. Answer every complaint, in every channel, every time.